Living in a country where the climate is usually warm can be a blessing, but during those rare parts of the year when the temperature drops, too many people find themselves unprepared. Whole closets full of shorts, t-shirts and tank tops are suddenly rendered useless, and even people with a good coat or two often feel the sting of a sharp breeze or a deep chill penetrating their skin. How do you avoid such discomfort? More to the point, how can you stay warm without bundling up like a giant awkward lump? You’ve still got things to do, after all, and you don’t want to be fighting through pounds of fabric to do them. Well for starters, you don’t need to become awkward and lumpy just to stay warm. That’s completely unnecessary. The trick to getting through cold weather is layering. Wearing several thin layers of clothes at once is a much more effective way to keep yourself from losing body heat than having a big thick parka on over a t-shirt. What should you use for that first essential layer between your skin and everything else, though? Try thermals. Thermals are specially designed to keep your body warm, and you can get them for nearly any part of your body. 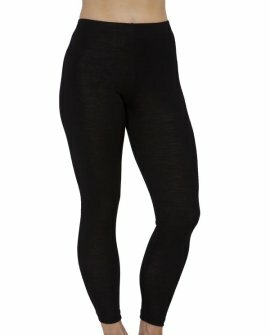 If women out there are looking for protection on their lower halves, it’s even possible to get womens thermal tights and leggings. A great option for finding womens thermal leggings in Australia is to order online from Baselayers, an Australian brand with a track record of 60 plus years in the thermal garment business. If you’re not familiar with merino wool, it’s time to educate yourselves. Merino refers to the specific type of sheep the wool comes from, and it’s widely known as one of the softest kinds for use in clothing. This makes merino garments much less itchy than their counterparts made from other types. Less itchiness means it’s easier to wear a merino garment under your other clothes all day when you’re layering up for cold weather. Since Baselayers products use merino wool for all of our woollen products, including a large portion of our womens thermal leggings, this makes us one of the most comfortable options for layering available. It’s not just about looking good. It’s about doing good. That’s why Baselayers uses 100% Australian grown wool in our products. This helps our farmers and supports local economies while creating a product that people across the country can feel proud to use. 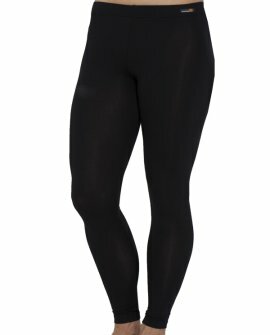 Baselayers is changing the cold weather game with our tights, leggings and other thermal products. With us, you’ll be able to take pride in what you wear—in more ways than one. Give us a call today to ask questions about our products, or just head to our website and order now. It’s never been so easy to be so comfortable when the weather gets bad.